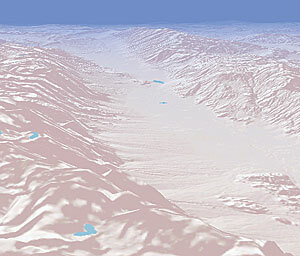 3D Shaded Relief is well suited for maps that don't include orthoimagery. ArcGIS Online is a set of map and image services in use by ArcGIS Desktop and ArcGIS Server users. These services are designed to be easily integrated within Esri GIS applications. ArcGIS Desktop users now have a comprehensive collection of Web-based map and image services at their fingertips in a format that can be directly used in conjunction with a user's own local data or services. Users can connect to ArcGIS Online through the ArcGIS Desktop ArcMap application or through ArcGIS Explorer and access online content and capabilities free of charge. 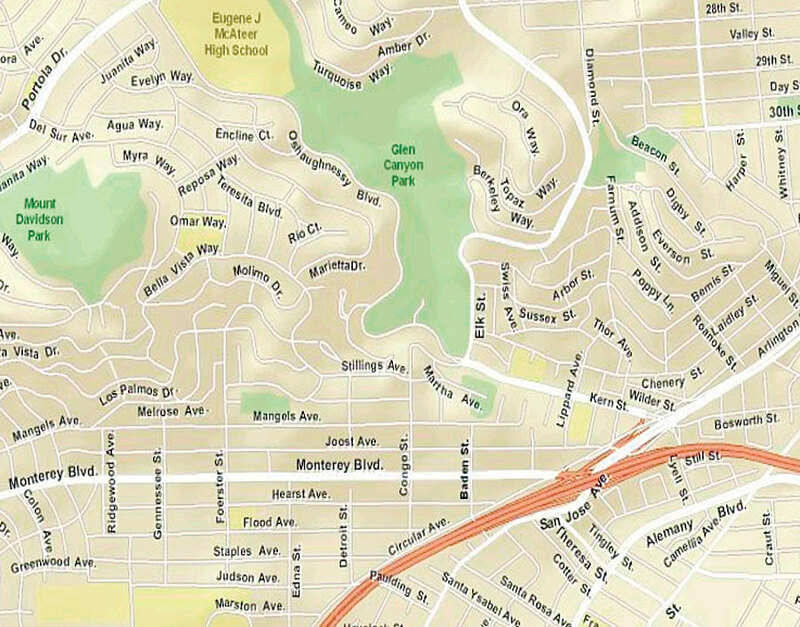 Basemaps, such as imagery for the world, a world street map, shaded relief, and topographic maps, are available as Web services, enabling users to quickly connect to these maps and globes and apply them as the foundation for their own GIS work. By leveraging ArcGIS Online, users can quickly access the content they need and utilize ArcGIS Online to overlay their own shapefiles, geodatabases, imagery, or other GIS services. 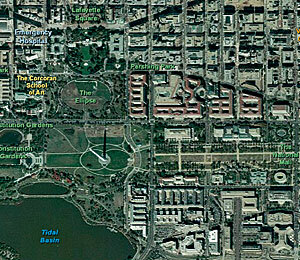 World Imagery offers natural views of the earth at multiple resolutions. 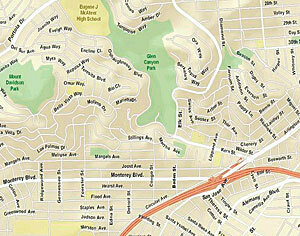 World Street Map locates places and addresses and gets driving directions. For example, a utility is considering extending its service or merging with another provider and needs street map data to provide context for the geographic analysis of its network outside its normal operational theater. Or a business wants to consider target markets beyond its existing market area and needs quick access to imagery and basemaps that provide neighborhood details. Or a local government organization needs to perform an analysis that requires data outside the normal work area. In all these cases, ArcGIS Online provides an easy and free way to obtain the needed content quickly, without having to worry about data preparation. ArcGIS Online services offer many advantages to ArcGIS users. Because ArcGIS Online content is prerendered, ready to use, and hosted by Esri, users don't have to invest in additional hardware, staff, or training. It also frees users from data management and data update activities and allows them to focus on their mission-critical work instead. ArcGIS Online is powered by ArcGIS Server and deeply integrated with ArcGIS software. Through specific resource centers, ArcGIS users can access Esri-authored documents and save them to their desktop. These can be opened directly in any ArcGIS Desktop application, including ArcGIS Explorer and ArcReader. Esri has also recently introduced the ArcGIS Online Content Sharing program, which enables users to contribute their own data. Esri will host and publish this user content, through its ArcGIS Server architecture, as part of the ArcGIS Online maps and globes that can then be accessed and consumed. Currently, all ArcGIS Online services are available at no cost to ArcGIS users. 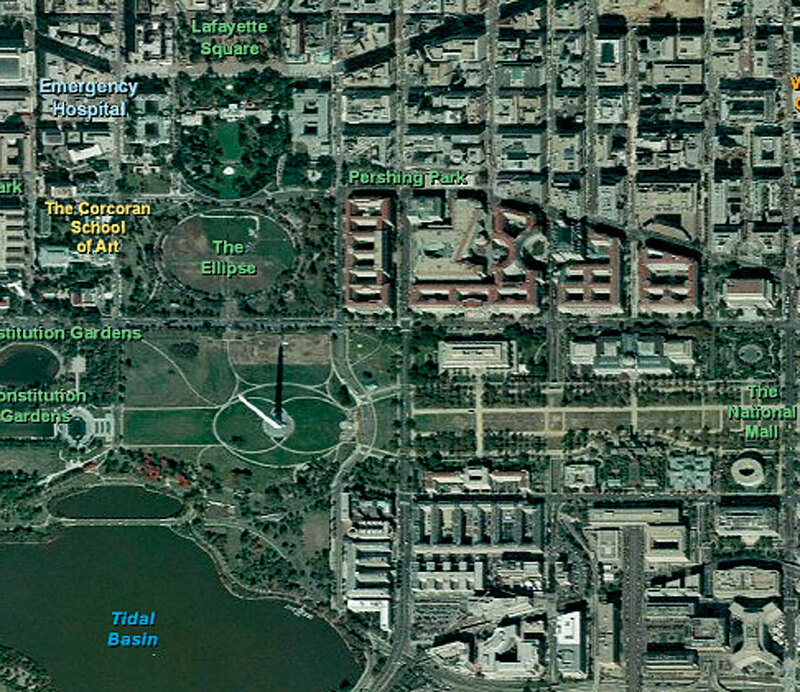 In the future, subscription-based, high-resolution imagery services will also be available. To connect to ArcGIS Online and learn more, visit www.esri.com/arcgisonline.